James Burton's UK-based company, XRobots, specializes in building science fiction props and costumes. His latest project, which he is documenting through a series of YouTube videos, is designing and printing an Alien Xenomorph costume. And, best of all, his 3D models are available for downloading! This isn't Bruton's first Alien suit, he previously constructed a suit by sculpting the parts in clay, creating plaster molds and then casting the parts in latex rubber. While he was happy with the results of his first suit he found it to be messy and time consuming to construct. Additionally the head was extremely heavy and the bodysuit was made of more liquid latex, so it was quite difficult to move around and uncomfortable. 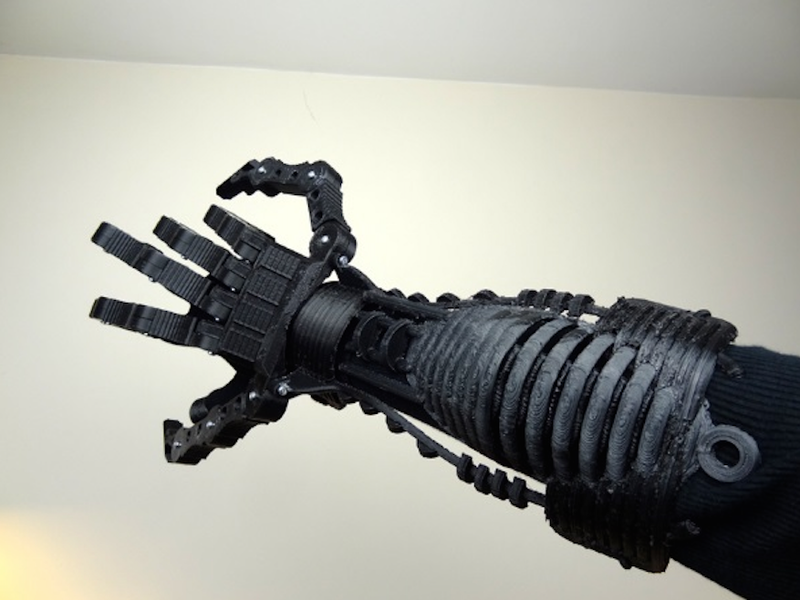 His new Xenomorph project will be constructed in small, individual 3D printed parts that can be easily fit together. By designing his suit in pieces not only can he build it to a size specific for himself, but he can put in closures and connectors so each piece can fit together seamlessly. You can download the design files for a nominal fee — although realistically, I think Legos are more within my skill set.